This is the final cat art for the month of September. 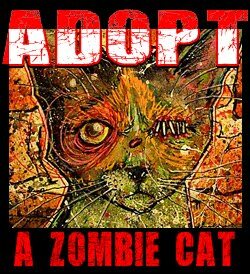 The zombie cats took over the pages of Two Sentence Horrors and it was a fantastic month filled zombie cat artwork to go along with a great poem/story written by N.M. Scuri. 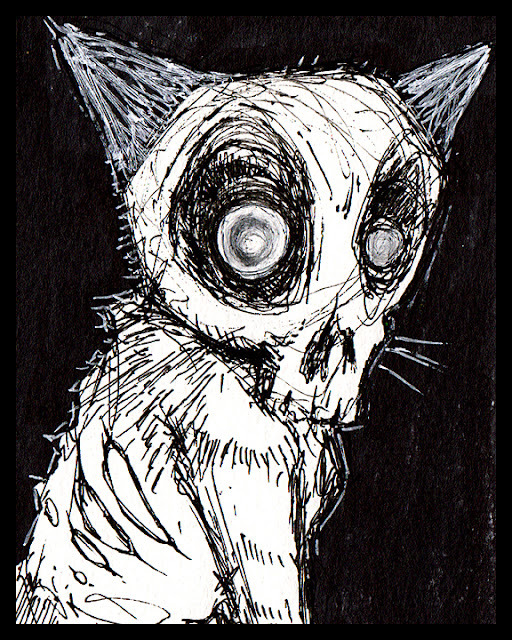 The whole drawing process was recorded in Episode 3 of Zombie Cats Raw Sketching, which is now available to the whole world. You can see the original post over on patreon and why not pledge a buck to get early access while you're there ... or just go straight to YouTube and subscribe to the zombie cats channel and watch it. If you like this artwork and want to own the original, you can find it in the store.